Read this article to learn how to schedule reports to be sent automatically. Schedule reports that you run frequently to save you time. The scheduler is available for every detailed report with the exception being the Activities' report. You will find a large variety of Detailed reports located within the Detailed tab in Reports. Open the report you intend to schedule and complete the fields in the Report Request section. Report Name, which will appear in the Scheduled Reports List. Recipient Email, which will be the email address reports are delivered to. Schedule Time, which is the time this report will run for the first time. Date Mode allows you to indicate that you would like the date span requested in the report filters to be either automatically incremented or to remain static. 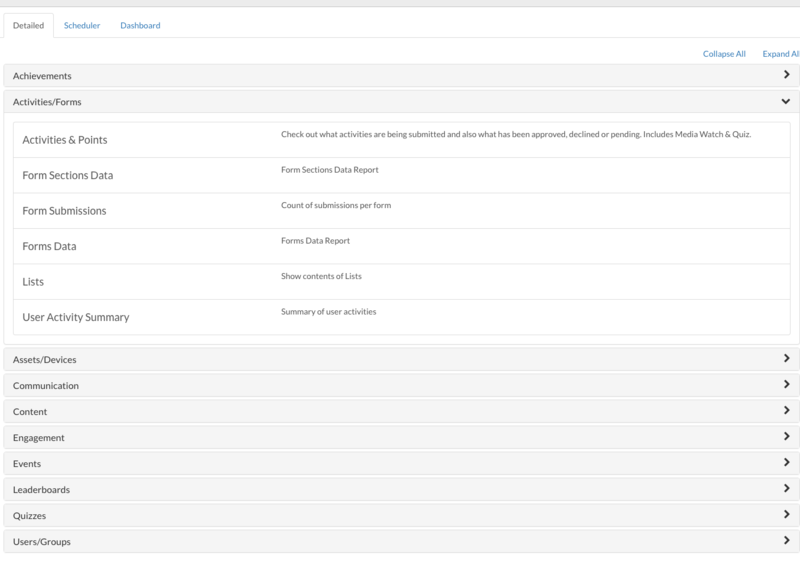 After setting up your report, click the Request Report button to schedule your report. To view your scheduled reports, click on the Scheduler tab to view a list of detailed reports and the frequency of how often they're being sent, or to change the settings/requirements on a scheduled report. To see your scheduled report in advance, you can now click on the Request Now button. This feature will send you your scheduled report immediately and still continue to send the report on the scheduled date. Clicking on a scheduled report in the list will allow you to make changes to the scheduled report settings as required.